From acclaimed, bestselling author Andrew Pyper, a suspenseful page-turner that explores the repercussions of that most dishonest of thefts: stealing another’s story and calling it your own. Patrick Rush, a former bright light at the National Star now demoted to the reality TV beat, is still recovering from his wife’s death when he joins a writers’ group in Toronto. His goal: to write the book he’s always felt lived within him. Trouble is, Patrick has no story to tell. And while the circle’s members show similarly little literary promise, there is one exception: Angela. Her unsettling readings tell of a shadowy childhood tragedy and an unremitting fear of the Sandman, a “terrible man who does terrible things.” It’s the stuff of nightmares or horror films. Or is it? Over the weeks that follow, a string of unsolved murders seem increasingly connected to Patrick. And then the circle’s members start to go missing, one by one. Still haunted by loss–and by a crime only those in the circle could know of–Patrick finds himself in a fictional world made horrifically real. But nothing will put him in greater danger than that ancient curse of natural born readers: the need to know how the story ends. 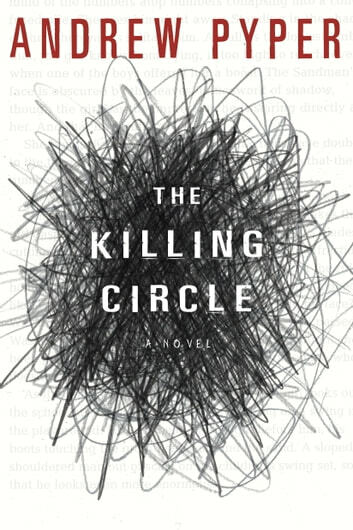 At once a complex and compulsive read, The Killing Circle explores the side effects of an increasingly fame-mad culture, where even the staid realm of literature can fall prey to ravenous ambition and competition. Dreams, memories, and the lingering ghosts of trauma come together in a novel set against the normality of life in Ontario, Canada. This is a bone-chilling masterpiece any author would love to claim as their own and a story I hated to put down. 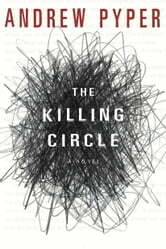 The Killing Circle is a novel of psychological suspense that outshines the works of the best-known horror writers of today. Buy The Killing Circle and let Andrew Pyper show you the best of what Canada has to offer in this genre. You won't regret it...as long as you leave the lights on! Part ghost story, part murder mystery and part horror novel. Really good read! Excellent book. Couldn't put it down. Downloaded it to my phone so I could read it whenever I had time.